A well-shingled roof increases a home's curb appeal, reduces energy costs and prevents the elements from affecting the contents and people inside the house. Because the job of shingling involves heights, a steep surface and complex procedures, it is best left to professionals and not do-it-yourselfers. The average cost varies by material. Wood shingling adds a traditional look to a house. Most homes use asphalt shingles because they are inexpensive and do not require major maintenance to remain effective. They also last from 15 to 30 years, depending on the quality. According to Cost Owl, with prices accurate at the time of publication, re-shingling with this material costs from $2.75 to $4 a square foot, including installation over an existing shingled roof. Removing the previous shingles is not necessary since the previous material adds insulation. However, if you want the previous roof removed, it costs an additional $1 to $2 per square foot. This means an average 2,000-square-foot roof costs $2,000 to $4,000 to have the previous material removed, and $5,500 to $9,000 for the new asphalt. 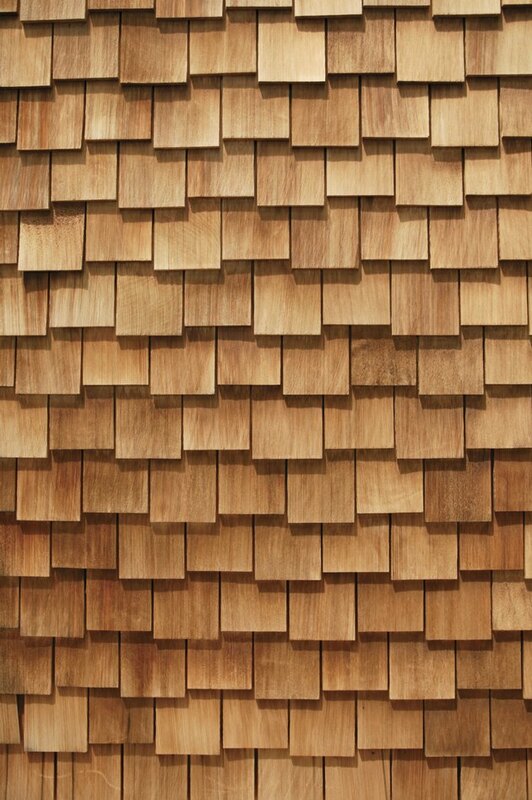 As the oldest shingling material, wood has a warmth and texture that can take many types of colors and designs, making it popular for those who want a traditional look. It is also breathable and energy-efficient but requires maintenance and repair. It can last from 20 to 50 years, depending on upkeep. Removing old wooden shingles costs about 50 cents a square foot, while installing new shake or yellow pine shingles runs from $2 to $3.25 per square foot. Costs for a 2,000-square-foot roof are $1,000 for removing old material, and $4,000 to $6,000 for new shingles. Tile is naturally impervious to flame, making it an excellent choice for homes in areas subject to forest fires, such as Southern California. Though it is strong and durable, it takes longer to install because roofers cannot walk on a tile roof. Tile roofs are also heavy, so are best avoided in areas where heavy snowfall can add weight to a structure. Concrete tiles run $4 to $9 per square foot installed, or $8,000 to $12,000 for an average roof. Ceramic tiles cost $6 to $12 a square foot installed, or a total of $12,000 to $24,000. Slate roofs require little maintenance and yet can last from 80 to 100 years. Synthetic slate has many properties of the real thing, and is cheaper at $7 to $12 per square foot installed. This puts an average roof at $14,000 to $12,000. Natural slate is one of the most expensive roofing materials, but can raise the value of a home due to its character. It costs about $25 to $35 per square foot installed, or a total of $50,000 to $70,000 for the average roof. How Thick Should a Roof Be?